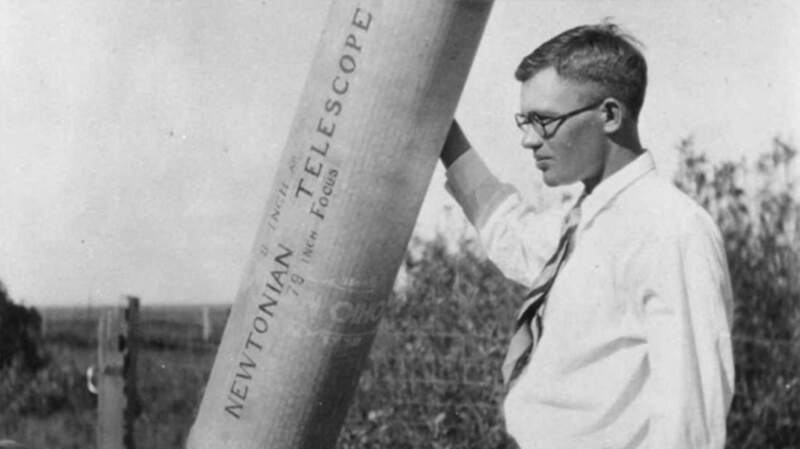 On February 18, 1930, amateur astronomer Clyde Tombaugh discovered "Planet X" using an astrograph, which is essentially a space camera. Planet X was soon named Pluto, and the rest is a nerd battle of historical proportions. Tombaugh started as a Kansas farm boy, and did not attend college until after he discovered Pluto. He had a knack for building things, particularly his own telescopes. This got him a job at the Lowell Observatory in Flagstaff, Arizona starting in 1929. He earned the job after mailing in his own hand-drawn observations of the planets Mars and Jupiter, as observed using a hand-made nine-inch reflector telescope. Tombaugh sought Pluto based on a prediction made by Percival Lowell and William Pickering. They had observed wobble in the outer planets' orbits, and hypothesized that it was caused by some as-yet-unknown planet in a trans-Neptunian orbit. On one fateful February day, Tombaugh saw the tiny speck of Pluto on a photographic plate. He found it using a "blink comparator," a device with which you flip between two images—each taken by the astrograph—and spot tiny dots that move in an unexpected way. It was a tremendous discovery, relying both on high technology and hard work. Tombaugh went on to college after his discovery (he got a scholarship to the University of Kansas). He continued to work in astronomy for decades, eventually becoming a professor at New Mexico State University. He discovered hundreds of objects (mainly asteroids) in the solar system, and took up writing in his later years. For more from the horse's mouth, here's an excellent BBC documentary on Tombaugh, which opens with an aging (and quite dapper) Dr. Tombaugh receiving an award. He proceeds to show off his own telescopes and tell his story, including an excellent demo of the blink comparator—using the original Pluto plates!.